It was overwhelming until Rem laid out the blueprints for how to implement it. "1. I loved all of the awesome ideas to improve myself and my practice. It was overwhelming until Rem laid out the blueprints for how to implement it. 2. Being able to mastermind with those podiatrists who have already accomplished your goals. 3. Finding an accountability partner." I am grateful to Rem for sharing his expertise with my staff and doctors and bringing his unique gifts to our practice. It changed attitudes and focuses that day and brought us together in a way we had never experienced. “In previous years when I read through Top Practices Summit brochure, I would skip right over the Marketeer of the Year contest. After all, I wasn’t doing anything spectacular. We were just plodding along implementing as many new ideas as possible. But when I caught sight of the first prize last year, I promptly marched into my marketing director’s office and asked if he felt up to joining the contest. You see, I can buy a camera or an i-pad or lights for taking videos on Amazon in the blink of an eye. But Rem had come up with something I couldn’t buy anywhere…. a full day of education and motivation for my staff and physicians by Rem Jackson himself. Plus, there was a bonus of further education with Peter Wishnie on subjects of my choosing. As they say the world of television advertising, this was PRICELESS! So we gave it our best shot in Virginia last fall and won that grand prize. Rem drove all the way to Ohio on a snowy February Wednesday night complete with an excellent bottle of wine, of course. After a dinner to introduce him to my two associates, we started bright and early the next morning for 8 hours of sheer magic. My staff that had never listened to such ideas before was mesmerized and enlightened to the world of goal setting, effective communication, and their role in marketing our practice. The enthusiasm and camaraderie that resulted from that one day continues to be rekindled throughout the months. I caught one team member discussing that day with a new hire and she was excited to share the message she took away from that seminar day. I am grateful to Rem for sharing his expertise with my staff and doctors and bringing his unique gifts to our practice. It changed attitudes and focuses that day and brought us together in a way we had never experienced. Best of luck to all the offices who enter the contest. This is a prize worth striving for!" This is the first conference that I have been to that I have felt the positivity with so much impact. Being able to collaborate with all the marketing directors in a masterminding setting was my favorite part of Summit. "Being able to collaborate with all the marketing directors in a masterminding setting was my favorite part of Summit." We still get comments from patients about them. I had a patient who got their electronic copy while on vacation and they e-mailed me from vacation about making an appointment when they got back. I used to do my own newsletters back when I was a new practitioner. I had the time back then. People liked them and we always got good feedback, but as we got busier we had to stop. 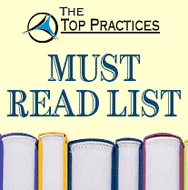 Using the Top Practices newsletter has been a way to revisit a system we always knew worked. Because printing costs are high, we mostly do electronic newsletters. We still get comments from patients about them. I had a patient who got their electronic copy while on vacation and they e-mailed me from vacation about making an appointment when they got back. I think we had been live for maybe 2 days and we had a patient come in directly from the website for a laser treatment. We’re using the Virtual Marketing Director Service now. You know, I’d like to think that I’d blog, but the reality is I won’t. It’s nice to have somebody doing that for us. I don’t know anything about most of it—Tim (our Virtual Marketing Director) has been doing it for us. I don’t know the first thing about most of what he’s been doing. The Yelp, and the Twitter, and all that other stuff…. That’s the world we live in. “I think it’s nice to have a web presence like that. It certainly seems to make a difference. Patients are looking at that information and calling our office already, even after a couple of weeks. I think we had been live for maybe 2 days and we had a patient come in directly from the website for a laser treatment. The best parts about Summit were networking with colleagues and having a goal setting deadline. "The best parts about Summit were networking with colleagues and having a goal setting deadline, because otherwise it wouldn’t have gotten done." They do anything you ask, handle all your concerns, and turn what is probably really complicated into a process that’s seamless and easy. They [the Virtual Marketing Directors (VMD) database and e-mail marketing team] do anything you ask, handle all your concerns, and turn what is probably really complicated into a process that’s seamless and easy. We never used a database before this. Salesmen would try to sell us demographic lists to market to and we stayed far away from those. We did occasionally send out postcards to local zip codes. But really, what we offer and specialize in pulls from more than just a few towns, so it wasn’t super effective. I’m not afraid to try something that fails, but so far we haven’t had any experience like that [with VMD]. Everything has been great. It could be that an ad from VMD doesn’t get the good response we’re looking for, but it’s not a problem with the ad, it’s that we put it in the wrong place. I don’t think any of it has been a waste of money. It has always paid off. The best part of Summit was connecting with so many nice marketers who were willing to share their experiences. "The best part of Summit was connecting with so many nice marketers who were willing to share their experiences. Also, the Marketing Workshop on Sunday morning was OUTSTANDING! Think BIG!" Not a day goes by when I don’t hear feedback from people who found us on the internet. I don’t use Twitter or any of that. I just use Yelp for restaurant reviews. I just became more aware of the importance of my internet marketing over time. Because of our practice name, we usually come out on top in organic search in our area, but I discovered that for heel pain, a practice from four towns away was coming out on top. It irked me. I wanted to ‘hit it out of the park’ when it comes to internet searches. I had them [the Virtual Marketing Director Services team] do an evaluation of my website and social media and all that. They showed me where my weaknesses were and what would really need to change—and I saw the light. Really I thought it would be way more expensive to do everything they said I needed, with all the new content for my website and review sites and social media stuff. I was pleasantly surprised. Not a day goes by when I don’t hear feedback from people who found us on the internet. You know, you’ve gotta dig deep and really ask, well, how did you find me? For a lot of people, it’s that they liked my website or my Google reviews. I don’t really follow what everything is, I just hear about it, and it’s all positive.